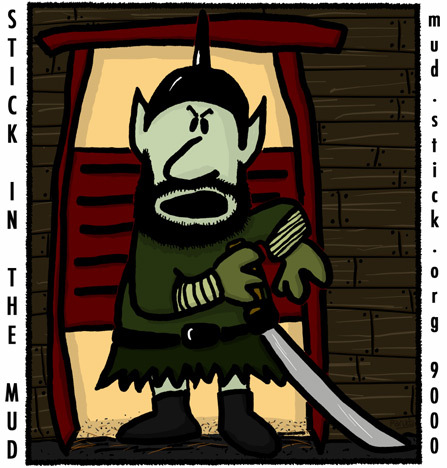 In case you missed it, Stick in the MUD celebrated its 10th anniversary in 2004. To help celebrate, we designed some commemorative items marking the event, and also some less specific stuff, all of which are still available. Not nearly as popular, of course, but if you've been away, what's the diff? And if you're just here on a routine trip to the MUD, you can connect as usual to mud.stick.org 9000.